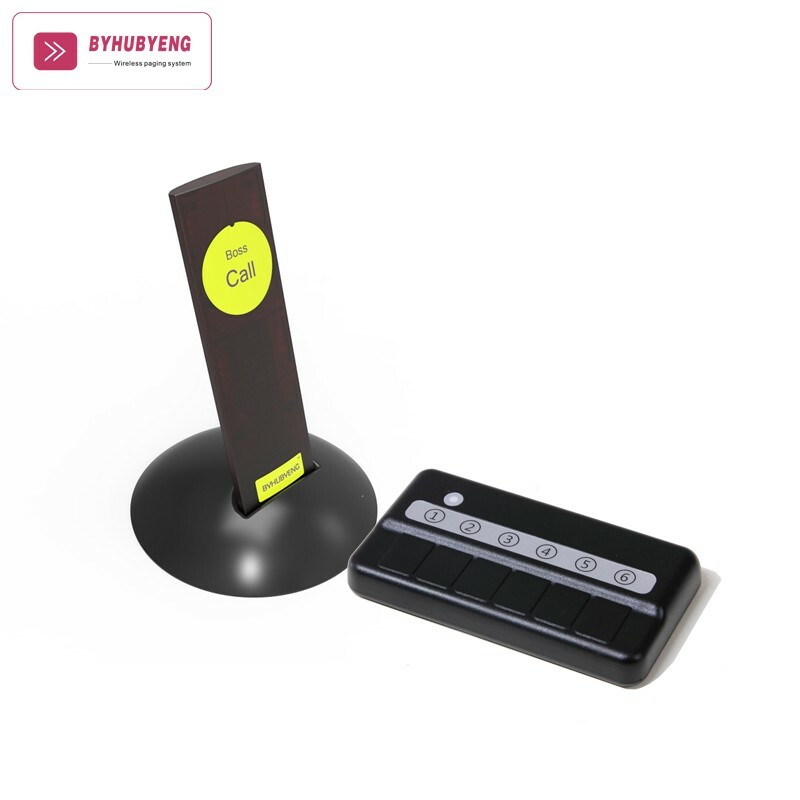 Products per set: 1 touch keyboard, 10 guest pager, 1 charging base. 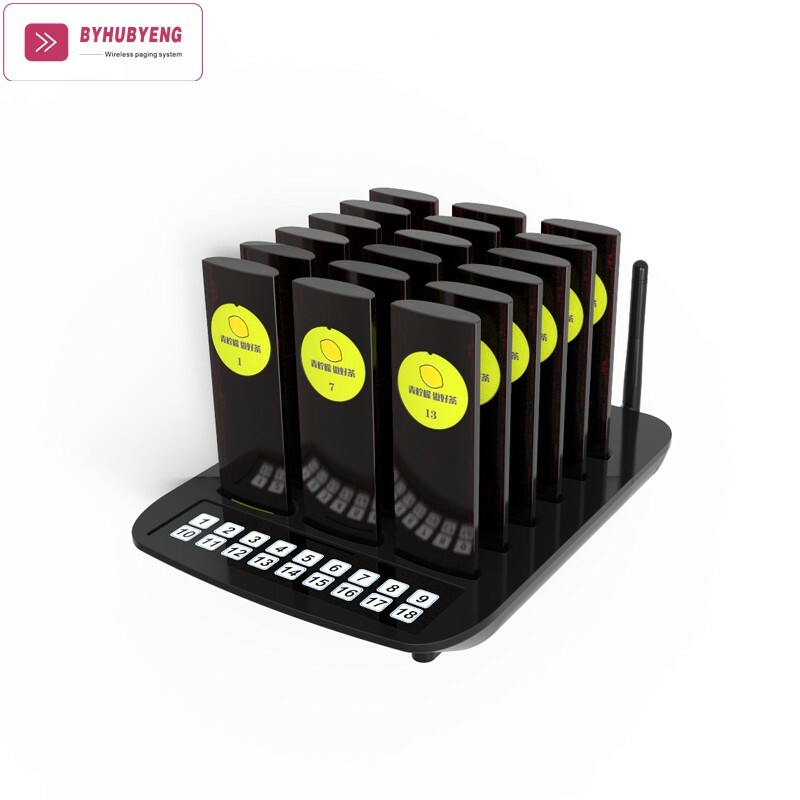 This wireless coaster paging system is widely used in the coffee shop, food court, dessert shop, western restaurant, fast food restaurant, car model 4s shop, hospital, bank, customer service center and somewhere customers waiting in line. 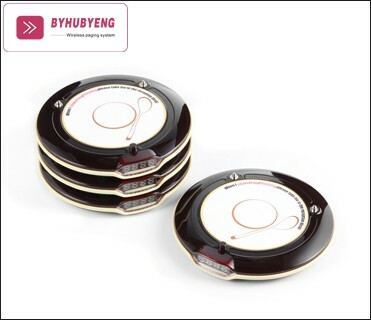 The classical appearance of the round shape allows you to have the best sense of holding. 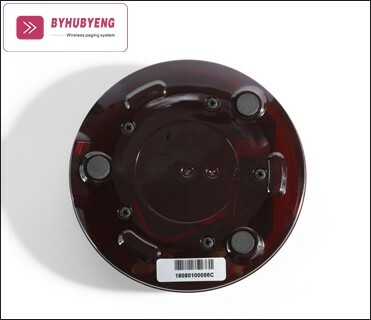 The anti-vibrate cushion is added to the product which makes it have longer endurance and higher waterproof degree. 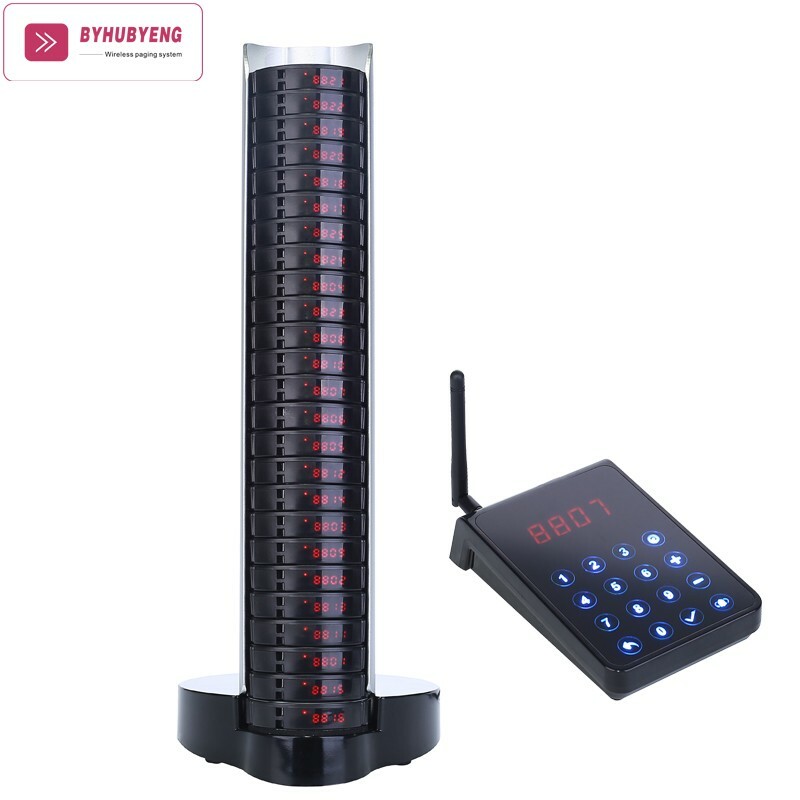 The product has the function of anti- 1-meter drop. 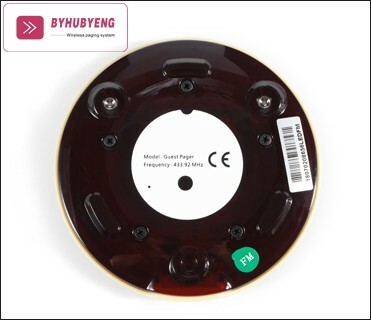 wireless coaster paging system provides more efficient service. It can establish friendly communication for waiters and customers, It can also help you to provide a quiet and comfortable environment so that the turnover can rise. 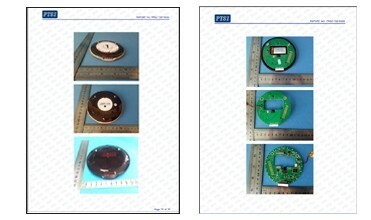 The price is the price of a single product, if you are interested, please contact us. 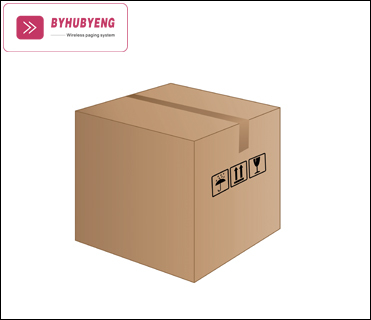 Weight and volume are only estimates, not accurate, Your shipping costs may be overcharged. You can put it in the shopping cart first, don’t pay, and then pay after we change the price. 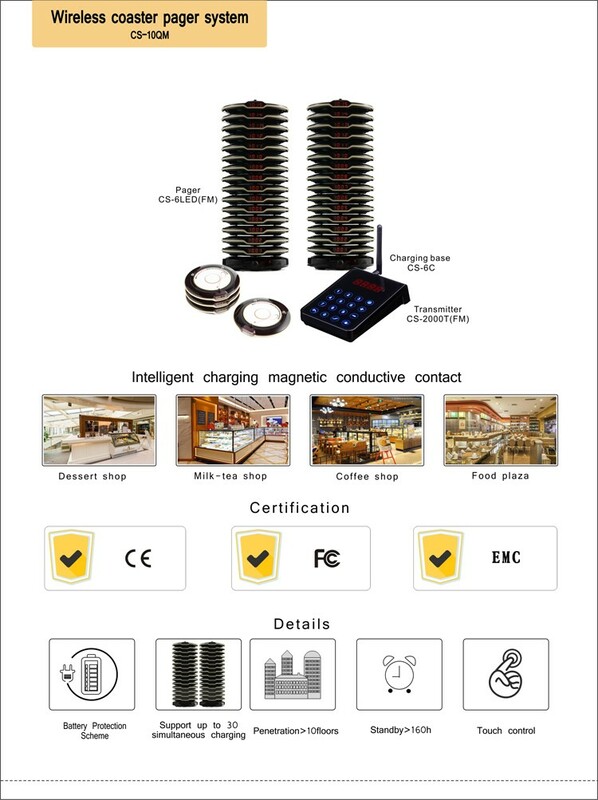 1,Stacked one piece charging, launching system with easy and fast operation. 2,Easy to install, save space, apply for a large and medium place. 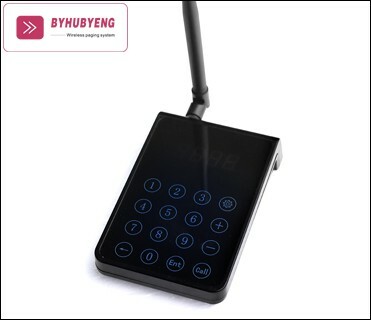 3,Pioneer proprietary technology of touch hand type to identify the switch. 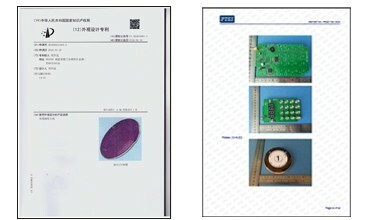 4,Pioneer proprietary technology of infrared ray code. 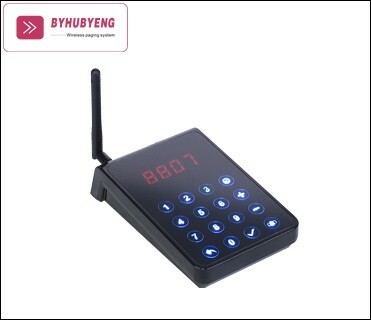 5,Wireless paging system capacity:1-99999 numbers, support to extend, ten standard configurations. 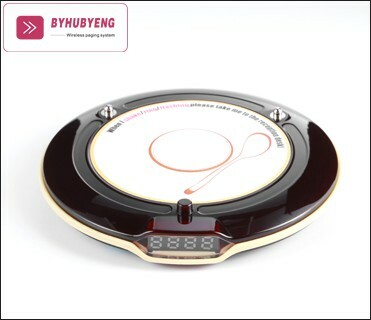 6,High-end and simple design, easy to operate, anyone can use it easily. 7, The appearance design for classic circular frisbee, comfort grip. 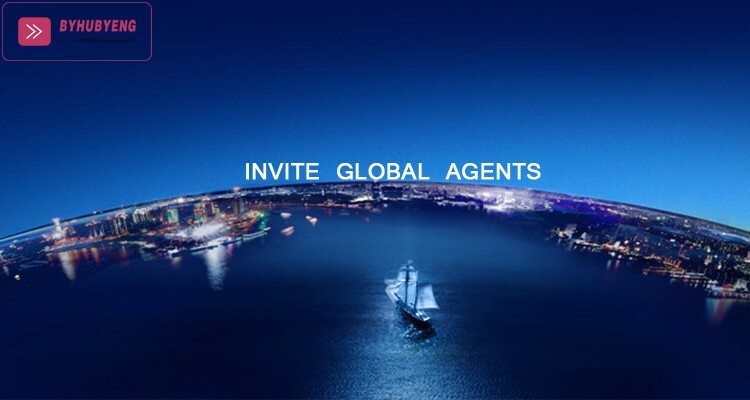 8,Accurate call receive to provide excellent service for you. 9, Finishing electricize for two hours, standby more than 72 hours. 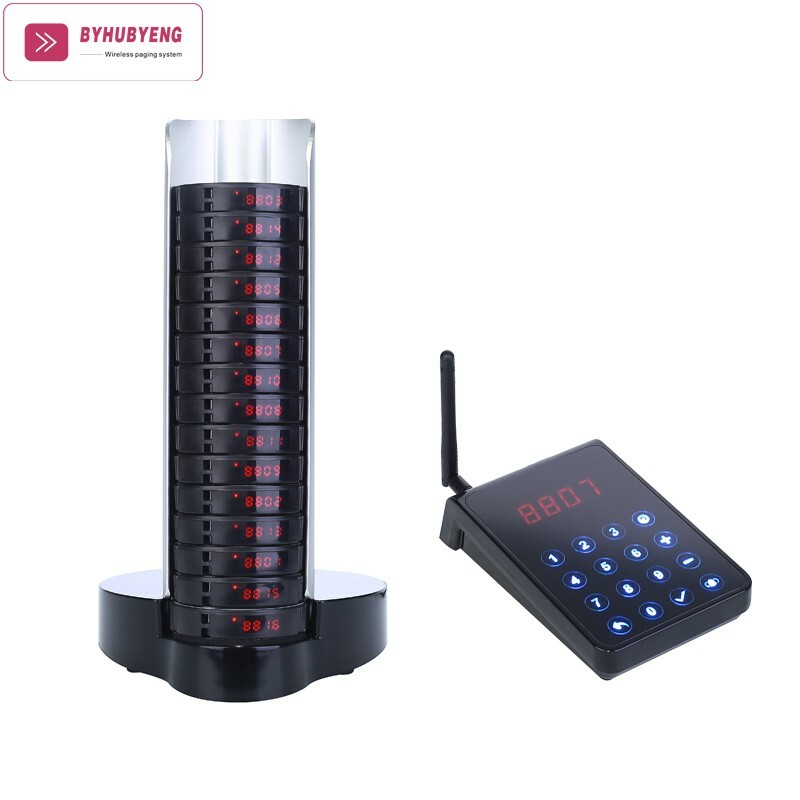 10, Wireless paging system has an intelligent charging system to prevent overcharge, use a rechargeable battery to reduce cost. The service life of the battery is about 5 years. 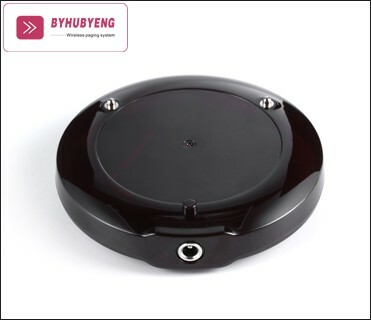 The indicator light is the battery charging is about 5 years, users change battery more simple and convenient. 11, Unique ID system, any system can work in the same place and get along well. 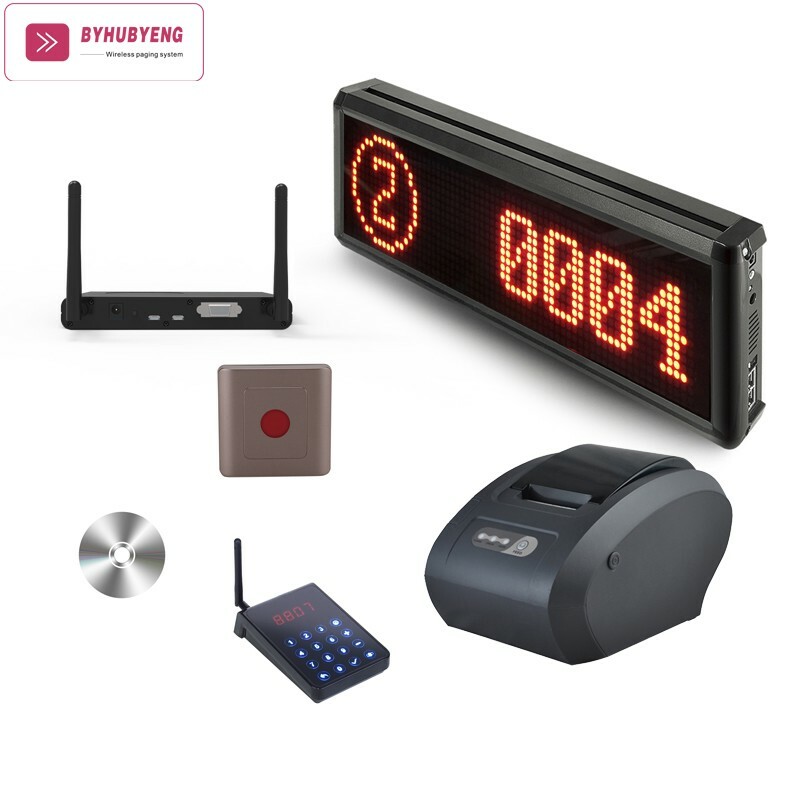 12, Wireless paging system has a specialized labeling area for LOGO, support customizes LOGO. 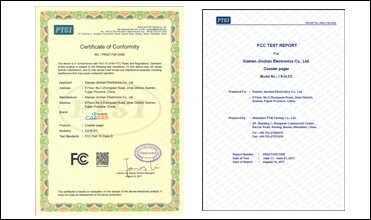 13, Standard configuration number label. 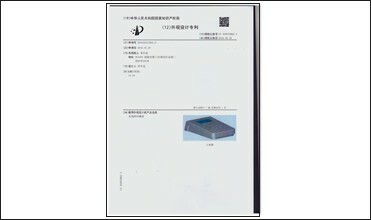 14, Wireless paging system support customize software system. 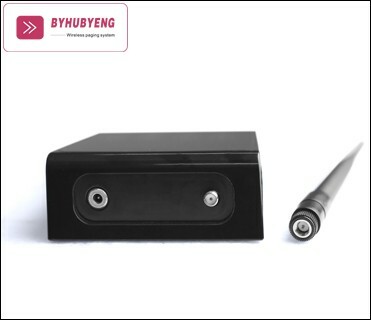 15, Transmission coverage 3000m in open space, Can be used fully meet the interior layers of large area coverage. 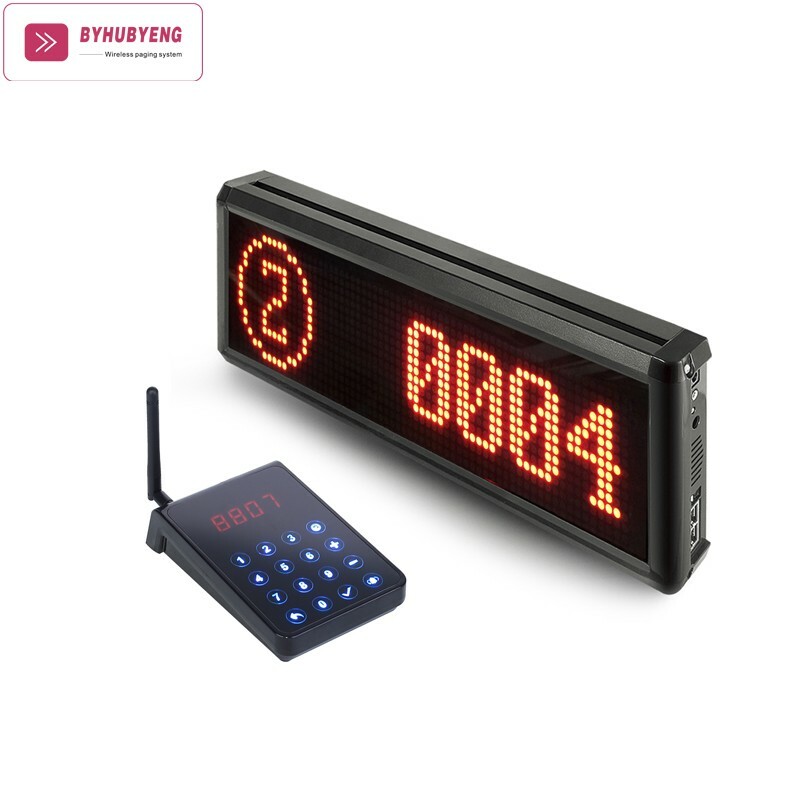 16, Easy to operate, the LED screen has better visual. 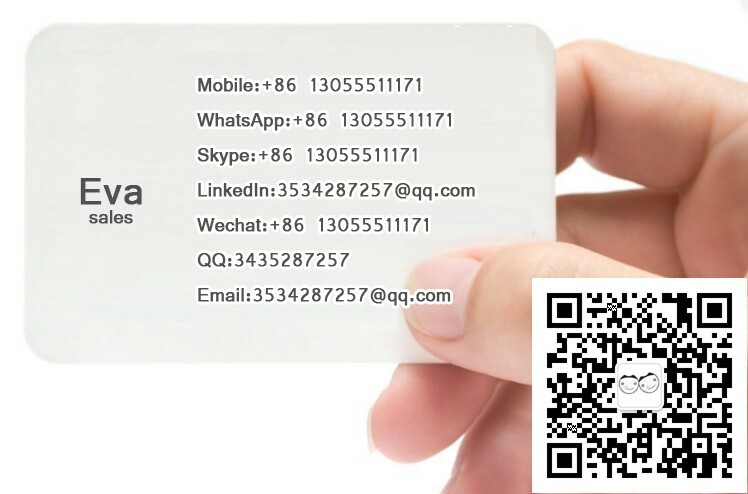 The Calling Pager System usually in a restaurant, hotel, clinic, dessert shop or anywhere customer waiting for their service. 1,Guests come to the restaurant and make their order. 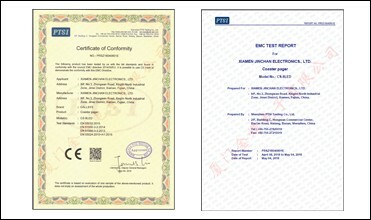 2,The waiter give each guest a piece of pager(CS-6LED) that matches the guset ID. 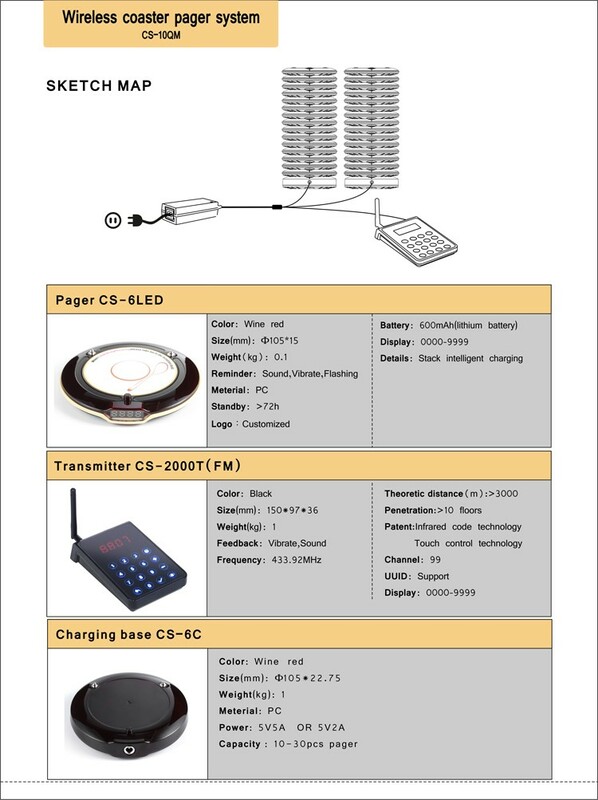 3,When the order is ready, the waiter will press the transmitter (CS-2000T) to alert the pager that guest hold. 4,Guest get the wireless signal by pager vibration or flash or beep with their number, and go to the counter to take their order. 1 Transmitter+1 Charging base + 15 Pager. 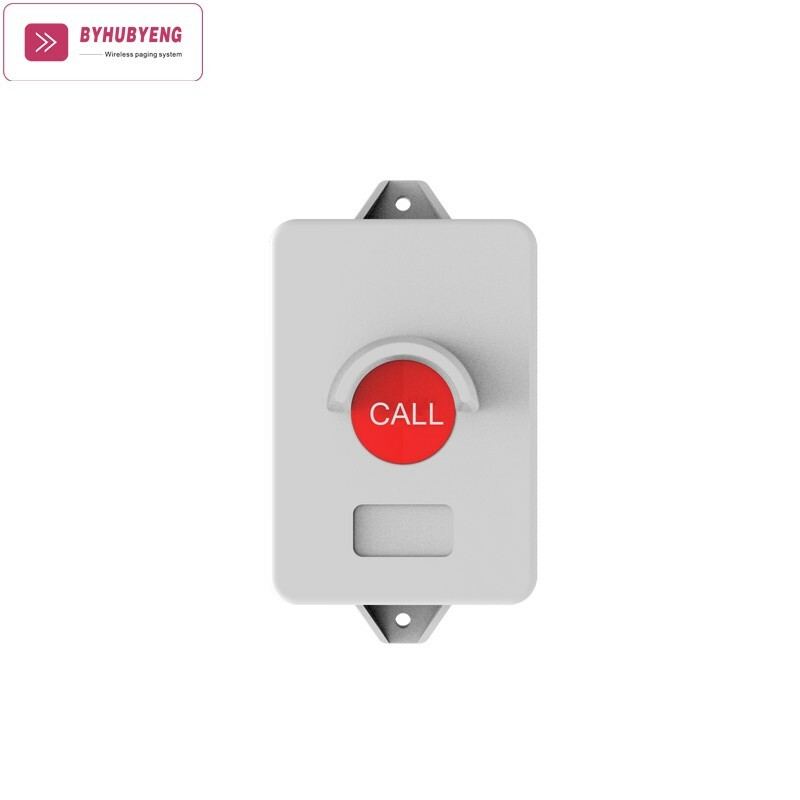 N Call button + NReceiver. 1Call button + N Receiver. 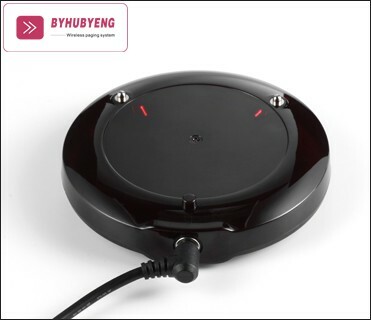 1 Transmitter + 1 Charging base + 10 Pager. 1 Transmitter + 1Chargingbase +10 Pager. 1 Muti-function charging base + 18 Pager. 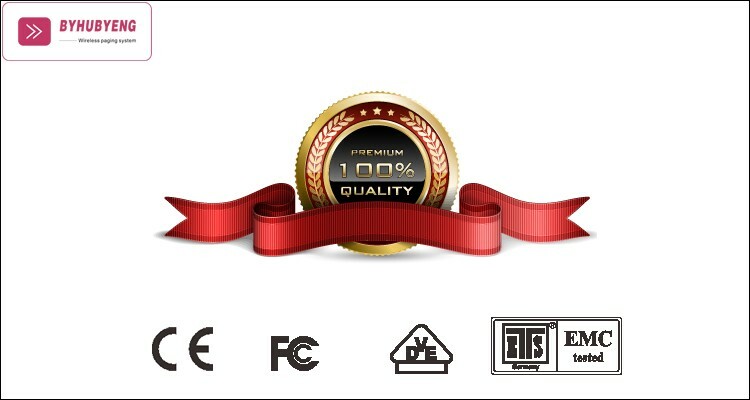 1 Ticket button + 1 Management +1 Software + 1Transmitter +1Ticket printer +1Receiver.